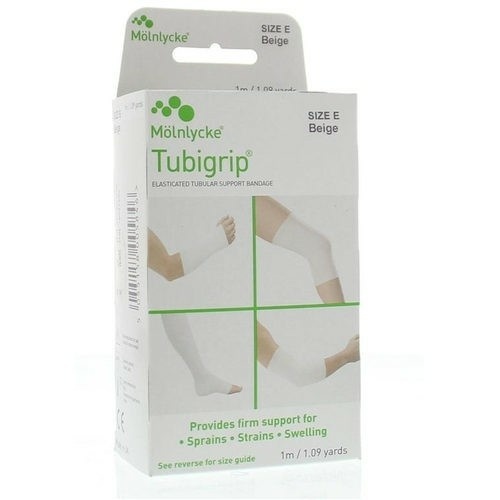 Provides firm support for sprains, strains and swelling. Choose the appropriate size from the size guide. Cut the bandage to twice the length of the affected limb, then double back pulling the top layer approximately 3 cm higher than the bottom layer. Contains natural rubber latex. If you condition worsens, discontinue use and seek the advice of a health care professional.